On October 26, 2017 Manor College hosted its fourth Ukraine focused dialogue on campus. The college welcomed U.S Congressman and Co-Chair of the Ukraine Caucus, Brian Fitzpatrick; US Congressman and Ukraine Caucus member Brendan Boyle; First Ambassador of the U.S to Ukraine, Hon. Roman Popadiuk; and US Justice Department Prosecutor and Advisor to the Procurator’s Office in Ukraine, Bohdan Vitvitsky. 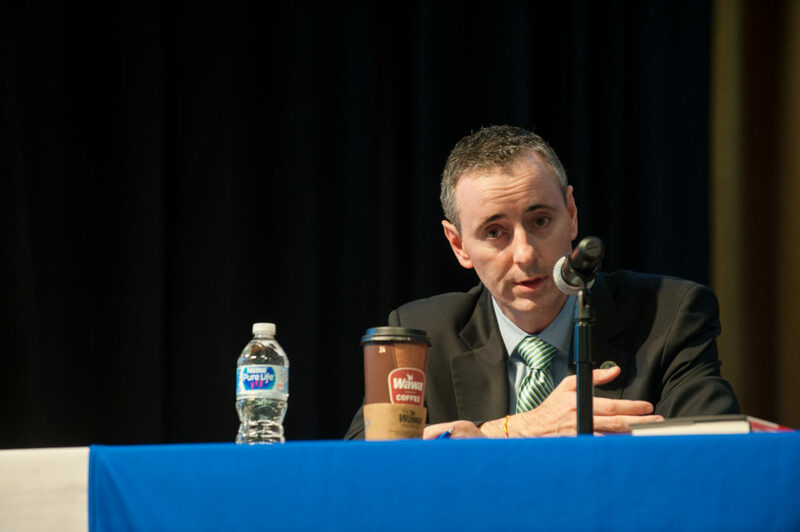 The panel was moderated by Manor College President, Dr. Jonathan Peri. The program directly complemented Manor College’s mission, which is to offer students a global vision through education. As America’s only Ukrainian heritage college, this dialogue was Manor College’s fourth Ukraine focused dialogue, which further proves Manor’s commitment to being the hub for discussion and deliberation around what Americans can do to help and support Ukraine. The audience, which was made up of approximately 150 Ukrainian and American community members from all states between New York to Washington D.C, responded to the panelists comments with enthusiasm and zeal. 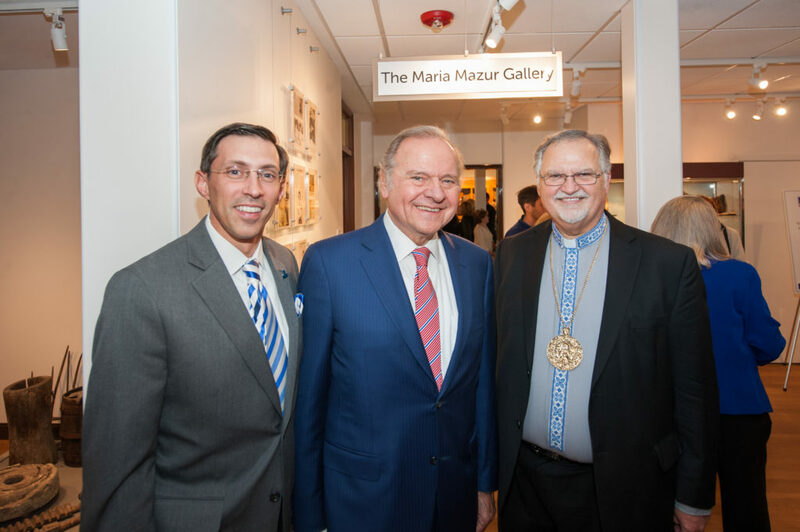 “It is crucial for us as Americans and Manor College as a Ukrainian founded institution to raise awareness about the needs of our friends in Ukraine. The profile of the issues in Ukraine should not be taking a second seat to much of the nonsense in the news. Real people have been murdered or remain subject to unlawful detainment in Ukraine, where a war has ended the lives of 10’s of thousands of people. 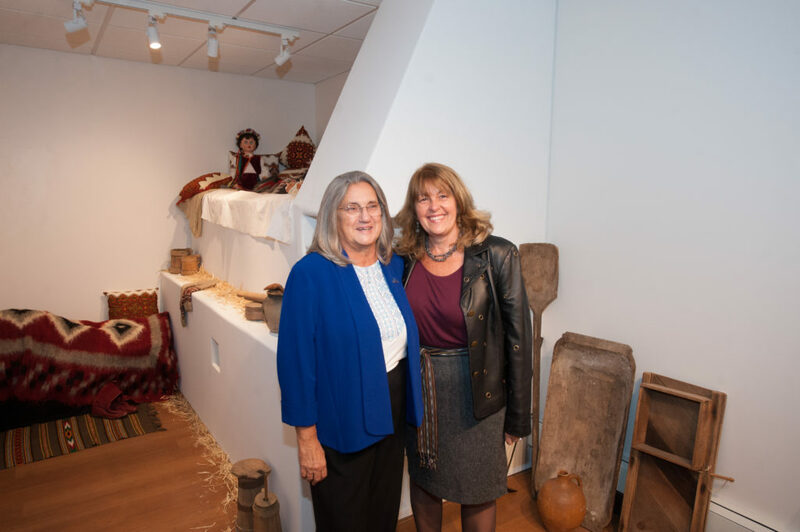 Prior to the Dialogue, Manor College held a Ribbon Cutting and Blessing Ceremony for the reopening of the Ukrainian Heritage Museum, an on-campus museum that is dedicated to preserving Ukrainian artifacts and culture. The museum is part of the Ukrainian Heritage Studies Center (UHSC), a center that was founded in 1977 to preserve, promote, and perpetuate Ukrainian culture and traditions through educational and cultural programs. In addition to a folk art collection, the UHSC maintains an extensive Ukrainian library and archives. 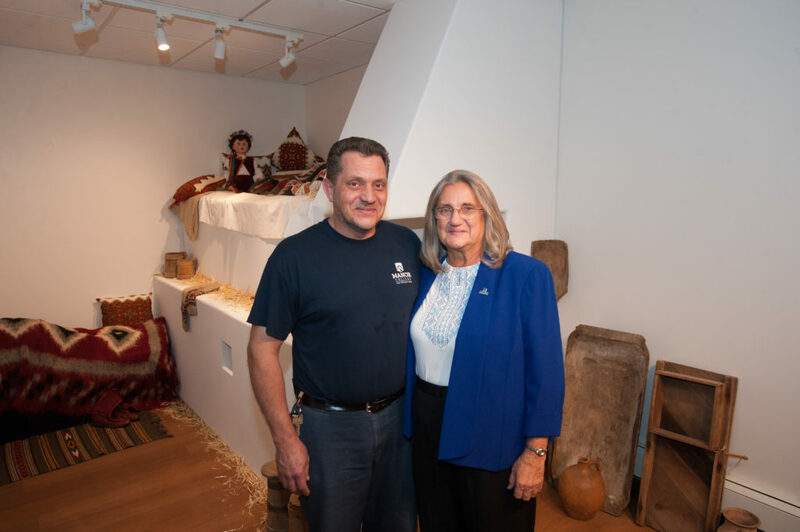 The renovations to the Ukrainian Heritage Museum was made possible due to significant contributions of Leonard & Helen Mazur, Dr. Barbara Zajak and the Ukrainian Catholic Foundation. 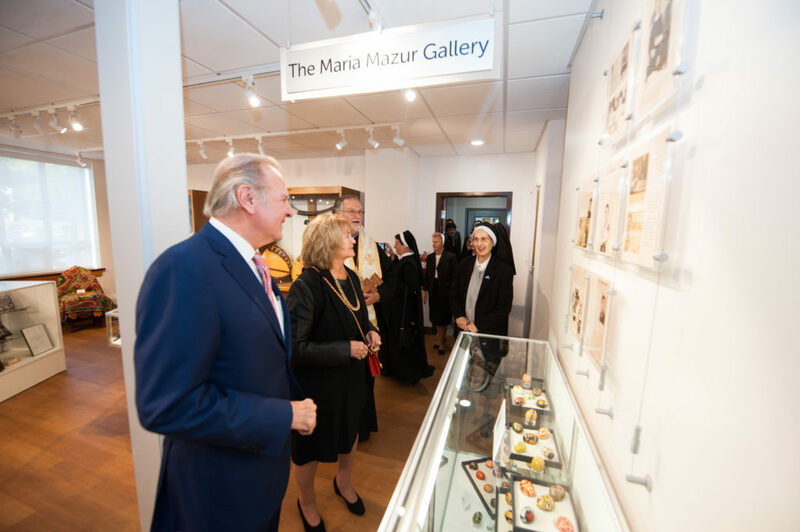 The museum has a new design from floor to ceiling which includes beautiful lighting, a handmade Ukrainian stove, crystal clear showcases a welcoming layout and is home to a new exhibit, the Maria Mazur Gallery. The Maria Mazur Gallery is a exquisite, handmade pysanky gallery crafted by Leonard Mazur’s mother, Maria Mazur. All are invited to come and explore the Ukrainian Heritage Museum, please call 215 885 2360 to make an appointment.